Surf in style and in your own terms with the best free browser app for Android and iOS devices. Get the best on the go web browsing experience on your phones as well as tablets. Over the years, connecting to the internet has become a major part of our daily lives, regardless if you use computer, phone or tablet, as long as you can get access to the cyber universe, it will do just fine. However, browsing on phone and tablet may not be as enjoyable compared with when you do it on your computer because the display screen is smaller, it is harder to navigate and the browsing capabilities of the built-in browser is somehow lacking. But all is not lost as there is a simple work around to this limitation. Why download a browser app? The standard or default browser of the device may not be designed for enhanced web surfing, hence, downloading and using a free browser app optimizes the browsing capacity of any phone or tablet. Not to mention that some browser app enables you to sync your web browser information from your computer to your device resulting to a more convenient surfing on the go. 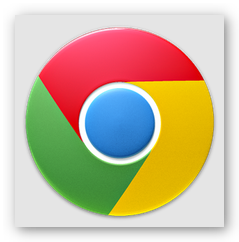 A popular computer browser, Chrome is also one of the most downloaded free browser app within the Android community especially to those who use Google Chrome browser on their computers as it allows you to sign in and sync your bookmarks, open tabs and more from your computer to your Android devices. It also enables you to send and read the open web pages from your computer to your Android chrome browser on the go and even offline with just one click. 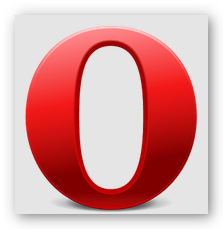 Opera Mini has the reputation of being the favorite free browser app among Android as well as iOS users. It has the power to open web pages in a jiffy even those that contains a lot of graphics and images. The browser interface of Opera Mini is very simple and very easy to navigate to since the layout is clear and the buttons are very visible. It is also flexible and works well on almost all mobile devices that has the capability to go online. 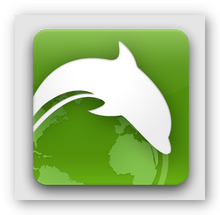 The free browser app for advanced users is probably the best way to describe Dolphin browser. It has been a consistent “Editor’s Choice” in the Google Play store and is dubbed as the number one mobile web browser in the Android market. Dolphin browser is also packed with tons of amazing features like, voice and gesture based input for navigation, password manager, one-tap share (screen grabbing), dolphin connect (sync google bookmarks, etc.) and a lot more. 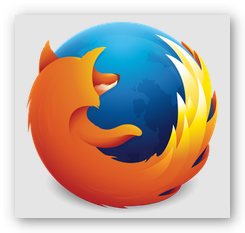 Firefox is another widely used web browser for computers. It is highly acknowledged for their extensive security settings that enable one to surf the internet safely which you usually benefit from using PC antivirus software or a mobile security app (applicable to phones and tablets). This is perhaps one of the reasons why it is quickly gaining acceptance as one of the top free browser app for most Android enthusiasts. Also, apart from its security features, it is also recognized for its ease of use, customizability and fast browsing ability.